Leon the big strong lion awakens baby's energy and strengthens baby's self-confidence. The yellow jacket with Steiff logo, has three learning features: button, ribbon and zip. Only when baby can open these mechanisms can Leon's jacket be removed. Excellent for encouraging motor skills. 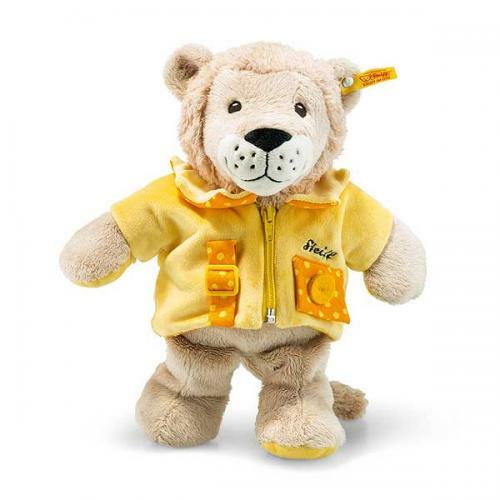 Leon Lion has embroidered safety eyes and is machine washable. CE marked. Size 30cm.